Drillbitwarehouse - PENETRATOR Series for Concrete and Rebar or Steel at The Same Time! The New PENETRATOR Series Drill Bits and now Saw Blades are for drilling concrete masonry and rebar or steel decking with one drill bit or blade! Fantastic new product from our German manufacturing center. This product is changing how we drill concrete and steel. Scroll down to see the sizes available. 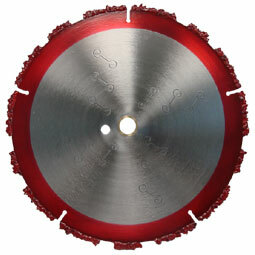 Also now available is our Penetrator Arrow Saw Blades for Fire & Rescue and cutting concrete and steel together.